While that debate continues, one thing that is hard to dispute is that the increased regulations have resulted in greater compliance costs for firms in the financial industry. A recent survey of C-level financial services executives, risk services directors, and compliance officers showed that more than three-quarters of respondents have seen their compliance costs rise due to regulation. In addition to covering how financial services companies are handling the requirements of the increased regulation brought on by Consumer Financial Protection Bureau in the last few years as well as their perception of consumer sentiment with regards to the heightened regulatory environment. The survey was conducted by Aptean Consumer Complaints Compass. 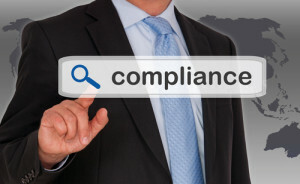 What the survey found was that 86 percent of respondents said they had seen their compliance costs increase due to increased regulation, and 29 percent of respondents said that they had to significantly expand their teams that handle complaints so that the complaints could be properly managed. 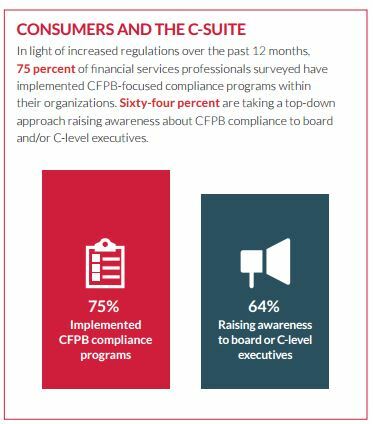 According to the survey, some strategies that financial servicers professionals are employing in order to curb complaints are: Treating complaint management as a firm-wide exercise in product/service improvement (70 percent of respondents have implemented, and another 15 percent are considering implementing before the end of the year); aligning complaint management policies and procedures with requirements of CFPB audits (63 percent of respondents have already implemented, while another 11 percent said they were considering implementing but have not set a date); and leveraging modern technology, such as a focused complaint management solution (56 percent of respondents have implemented, and only 7 percent said they are not considering implementing). Click here to view some fast facts about the survey.